스바코프문트, 나미비아의 솔티 자칼 백패커스 | 호스텔월드에서 예약하세요. 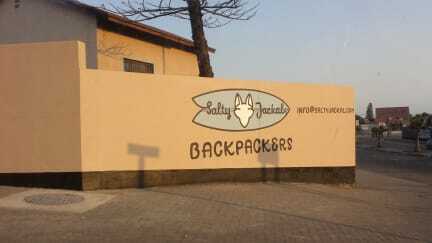 Salty Jackal Backpackers boasts a laid back, personal atmosphere where you mingle with fellow surfers, sharing sessions and fun times. 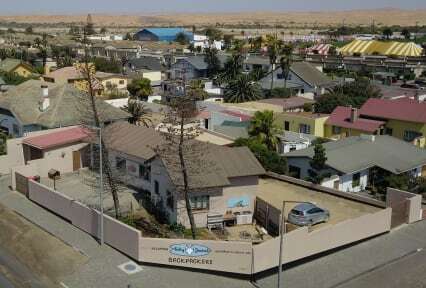 Centrally located to easily explore Swakopmund and go surfing. Salty Jackal Backpackers boasts a laid back, personal atmosphere where you mingle with fellow guests, sharing stories and good times. We offer surfing equipment hire, surf lessons, surf guiding and are all about authentically experiencing Namibia as locals do. We are situated in central Swakopmund, a short walking distance to: dunes, beach, supermarkets, restaurants, cafes, pubs, laundry, surfboard rental, selected activities. Salty Jackal was built in the 1960s, renovated in 2009 and blends together old-world style and quality with modern, comfortable and simple living. Decorated to inspire surfing and quality food while also showcasing our breathtakingly beautiful Namibia. *Safe storage for boards & wetsuits. Check in from 12:00 to 21:00. Reception times 08:00 to 21:00.